John Faine refused to debate Kevin Bracken, a caller to his Melbourne ABC 'talk back' show on the September 11 terrorist atrocity, after which Faine, in league with Labor and Coalition politicians and the corporate newsmedia, seemingly attempted to whip up a national witch-hunt against Bracken, who was critical of the official account of 9/11. However, the would-be witchhunters, got more than they bargained for, with public opinion swinging behind Kevin Bracken and Bracken demanding a right of reply. Faine has attempted to regain public sympathy by turning reality on its head, now claiming himself to be the unfair target of attacks by 9/11 "conspiracy nutters". We have transcribed in full, with comments, one of Faine's videoed "defences" of his conduct, so that readers can judge for themselves. And welcome to the Friday wrap-up. It is a bit chaotic today. We've got Di Fingleton, Bill Mc Innes and a cast of thousands. It's been an extraordinary week , too. I don't want to talk about 9/11 conspiracies theorists and the like. Well, I kind of do, but I don't. I don't want to start it up again. Editorial comment: After refusing to debate Kevin Bracken and starting what came close to becoming a national witch-hunt against Bracken for his supposedly outrageous questioning of the official account 9/11, Faine tells his listeners that he, himself "kinda do[es]" "want to talk about 9/11 conspiracy theorists and the like." Perhaps he should explain to his listeners why he thinks he should judged any less harshly than he judged Kevin Bracken for raising the taboo topic of questioning 9/11 on his 'talk-back' show. Editorial comment: It's a talk-back show, I would have thought. 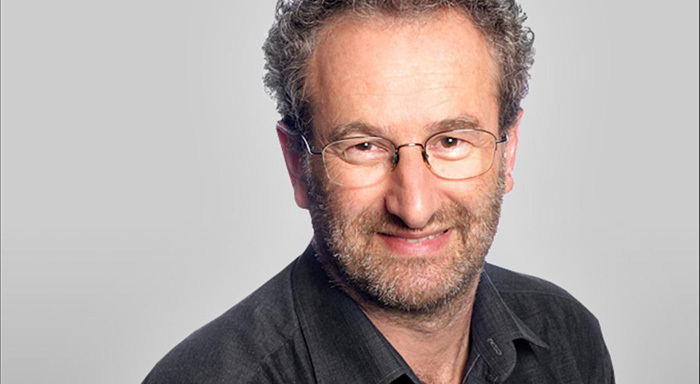 What is Jon Faine trying to say? That he thinks that a member of the public, such as Kevin Bracken, with a view about the principle justification for this country's, so far, nine year intervention in Afghanistan, is not entitled to ring up a talk-back show in order to put that view? Editorial comment: So Jon Faine believes that the principle justification for the war in Afghanistan should not be discussed by the very same body which voted to send our soldiers to fight in that war? ...And now it's Friday and I have probably countless e-mails, text messages and phone calls. We are clearly being targetted now, by all the people who think there is more to it than we've ever been told and "the media" (with a gesture with both hands indicating quote marks) are part of the conspiracy. And having just got a little crack in the door open, we're getting phone calls from all around Australia. We're getting e-mails from around the world. People are saying "Uhh! Here is a point where we can have our claims fully explored. It's been a very intense week because of that. Ahh! On the other hand, I stuck my neck out. I've called them loonies. I've had a go. I think this is corrosive of peoples' trust in the rule of law and democracy. I still believe that. I don't resile for a moment from anything I've said. , but in the background you can see that --- There's John Standish, one fo my producers -- dealing with all the complaints of people saying that we're arrogant, we're high-handed and we're dismissive and that's not our role here at the ABC and that will take weeks for us to deal with. Such is life! 1. [back] See also PM story "Vic union leader says September 11 attacks a conspiracy" for some of the dialogue and my comment. As with the dialogue show above the actual words of a person, baiting someone for having expressed an honestly held opinion about an important issues do that person making those remarks no credit. Editorial comment: A site visitor posted the comment below. We've embedded it for the benefit of others who want to make anyone who openly doubts former U.S. President Bush or Australia's current Prime Minister Julia Gillard, regret doing so. I consider Jon Faine's treatment of Kevin Bracken a shameful breach of ethical journalistic principles. What makes Faine think he has the right to ignore the facts of the September 11 terrorist atrocity that Bracken attempted to put on his program, to refuse Bracken's request to debate the issue and to engage in ad hominem attacks? The fact remains that well over a million have died and millions more have become impoverished as a consequence of wars launched using September 11 as a pretext. What journalist with any conscience whatsoever would attempt to prevent the public from examining the raging controversy surrounding the pretext for thes bloody wars?